Do you LOVE Graphic 45 paper? 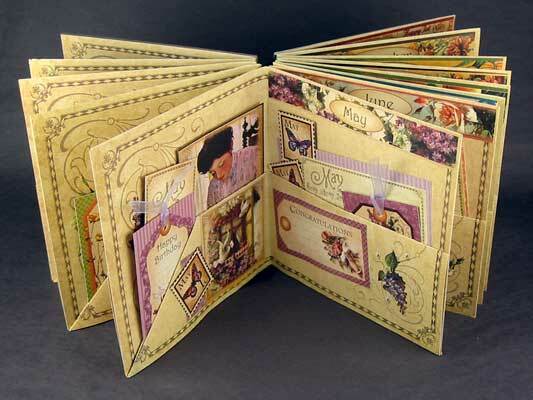 Well, this class is for you! 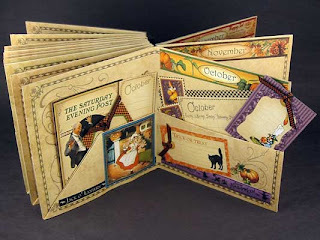 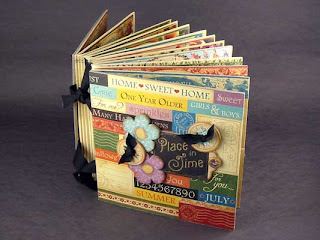 You will get your hands on 26 sheets of Graphic 45 paper and a chipboard tag sheet to create this 6x6 calendar book. This book was designed by Laura Dension for Graphic 45 and Monika had the pleasure of sitting in on her class when she taught it at Winter CHA. 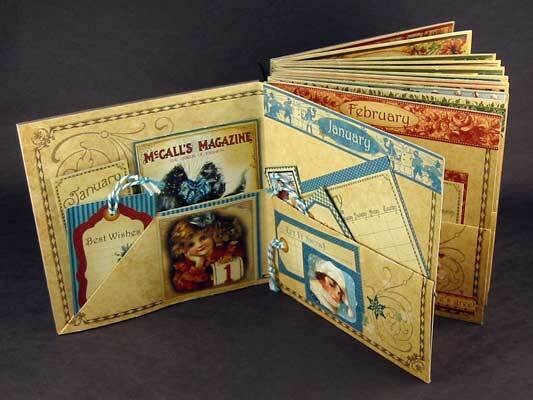 This book is so fun you will want to make one for yourself and some for gifts. 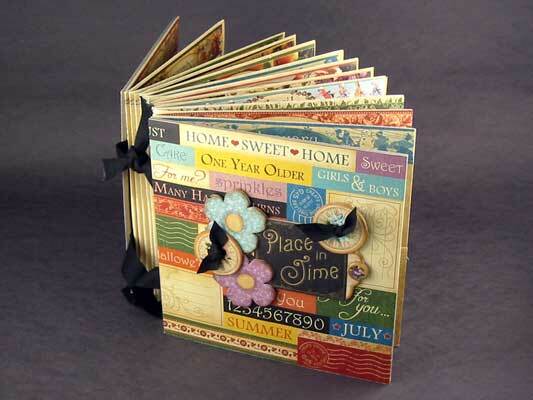 After your book is put together you will even have pieces left for card making.